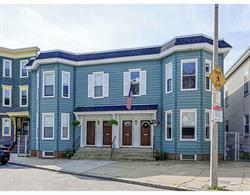 Amazing Opportunity to own a Premier Investment Property in the Heart of South Boston’s Eastside! One Deeded Parking Space included in the sale! This Rare 4 Unit Property has been meticulously maintained by long term owner occupants! 3 Units are in absolutely Mint move in condition including one that has just been totally renovated with condominium quality finishes throughout! One unit awaits your renovations and updates. A Tremendous Opportunity for an Owner occupant or savvy Investor to collect Strong rents in South Boston’s most sought after Location! This property offers its new owner two 2 bedroom floor thru units and two 3 Bedroom floor thru units! All have Private Entrances! Enjoy the Sundrenched Decks & Oversized Yard! Gleaming Hardwood Floors! Direct Access Parking Space at your back door! Shopping & Restaurants are one minute away! Direct Buses to Seaport, Financial District and Redline T Stops! Enjoy easy access to beaches and parks! Cannot be Duplicated in this Location!